On February 11, Impactpool commemorates the International Day of Women and Girls in Science! This annual International Day is implemented by UNESCO and UN Women to acknowledge the importance of participation of women and girls in technology and science. This fourth International Day of Women and Girls in Science assembly is focusing firmly on: “Investment in Women and Girls in Science for Inclusive Green Growth”. 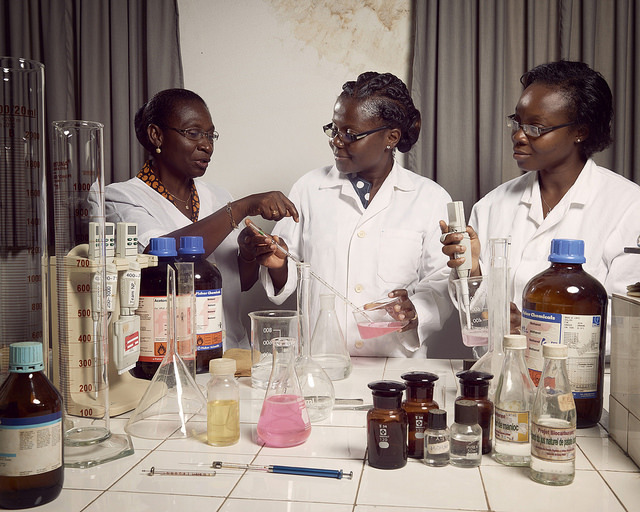 The International Day of Women and Girls in Science, celebrated each year on 11 February, was adopted by the United Nations General Assembly to promote full and equal access to and participation in science for women and girls. This Day is a reminder that women and girls play a critical role in science and technology communities and that their participation should be strengthened. The celebration is led by UNESCO and UN Women, in collaboration with institutions and civil society partners that promote women and girls' access to and participation in science. Read more about the International Day of Woman and Girls in Science and the programme. Are you in the field of Technology or Science? Look at our 450+ career opportunities! Impactpool takes gender parity very seriously. With our WIT4Impact (Women in Tech for impact) campaign we've gathered top talents to tackle global challenges like gender parity. Read more about the WIT4impact campaign and join our WIT4Impact talent pool!